From the Cellar 9 is in production and will be out on pre-order any day now. Red Factories is in stock and on sale for $140 shipping included or Red Factories with dented box for $120. 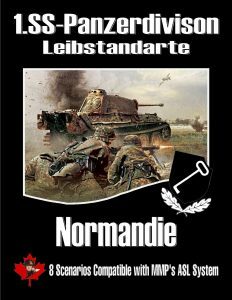 LSSAH Normandy: In stock and shipping. 8 scenarios plus counters for $16. 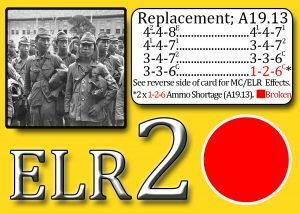 Sniper/ELR Cards are a GO!!! – Production and pre-orders begin soon. This pack will include all of the major nationalities along with some OBA cards (not the same ones I made in the past). 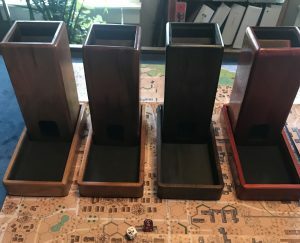 I have 4 dice towers completed and ready to ship, one in each type of wood. Left to right; Cherry, Goncalo Alvarez, Walnut, African Padauk. Reminder that the action begins in less than 2 weeks. March 28-31. Call for last minute registration. 336-462-4035. LFT 14 has arrived and is shipping same day to you. I am extending the pre-order sale price for the time being. Thank you all for your unending patience. This one has been well worth the wait. 8 million bayonets on your table at long last. Wow, this is an incredible package that took me completely by surprise. 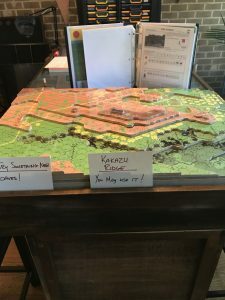 Two huge maps, counters, and tons (yes, over 2,000 pounds) of scenarios. I had the chance to see Red Factories at Winter Offensive and it is incredible. If you love Stalingrad, this is a must have. MMP is shipping pre-orders now, so we should have ours within a couple of weeks. We have Red Factories on sale for $140 with free shipping. 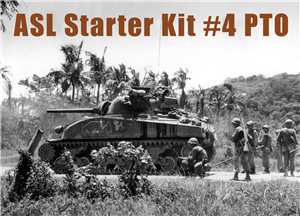 Starter Kit 4 has been added to the pre-order list. Click on the photo link to read up on SK moving to the Pacific. 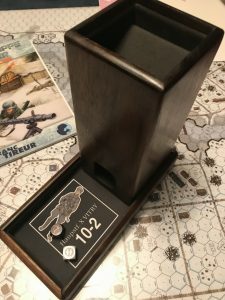 I am finally ready to put my dice towers on pre-sale. They are available in 4 different types of wood (Walnut, Goncalo Alvez, Cherry, African Padauk) each in limited quantity. Each tower will be shipped within two weeks of the order which gives me time to customize your tower stain and mat. 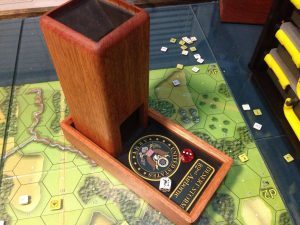 Height of tray using with 16mm dice before custom mat. 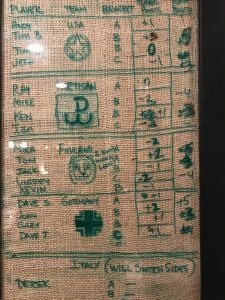 Example of custom mat. 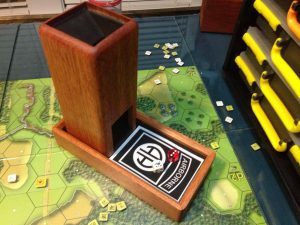 Note that the dice tower in photo was an earlier prototype. April 11-14. Bitter Ender – Raleigh, NC. 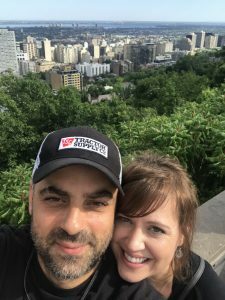 It has been a very busy week in the world of ASL. 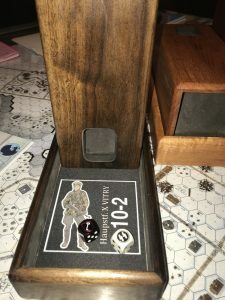 Friendly Fire 12 – FF12 is here and shipping. Eight brand new scenarios. 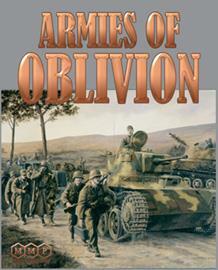 –Armies of Oblivion is finally back on the shelves and shipping. If you pre-ordered from me but did not get an invoice, just re-purchase it and ignore your pre-order. I have left the price the same until the pre-orders are completed. I also have 4 copies that were ordered for pre-order that never completed, so this is your chance to get a copy at pre-order price even if you didn’t pre-order it. 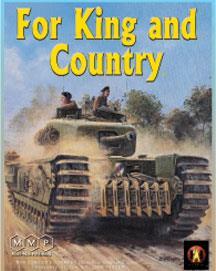 –For King and Country has been put on Pre-Order. Hopefully this will not take as long as AOO or Forgotten War. Deluxe ASL is coming back with a bang. 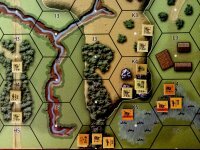 New artwork for the 8 mapboards found in Streets of Fire and Hedgerow Hell, 38-40 classic update DASL scenarios, and overlays. Pre-order here. Don’t forget to get your LFT Deluxe Pack and W.O.#9 to go with it. 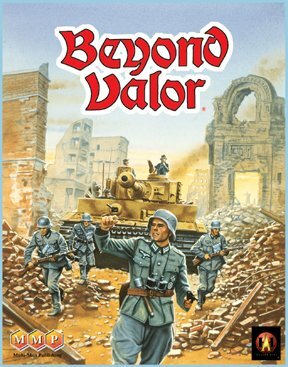 –Beyond Valor is days away from being back in stock. You can order yours now but be aware that it may take a couple of weeks to fill orders. 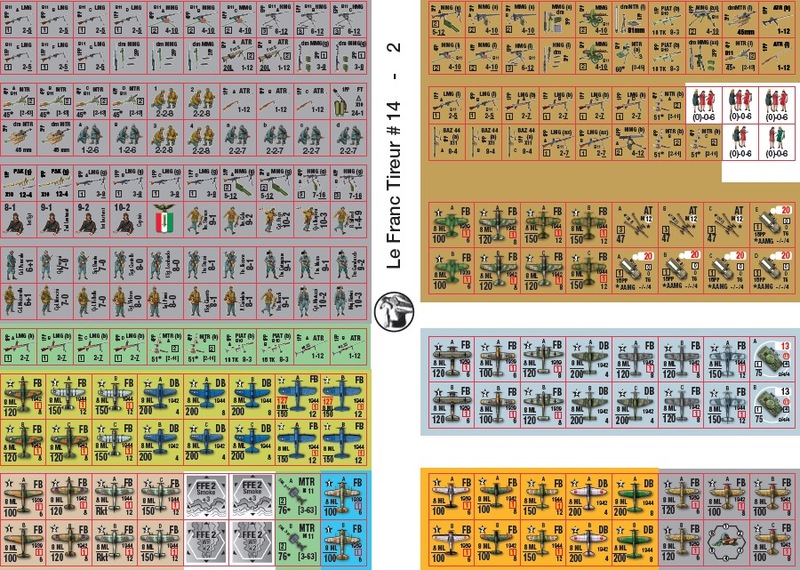 Xavier has released samples of the Italian counter artwork for the new LFT14. In my opinion, these are some of the coolest counter artwork I have seen. We will be taking pre-orders for LFT14 as soon as Xavier finalizes a price. 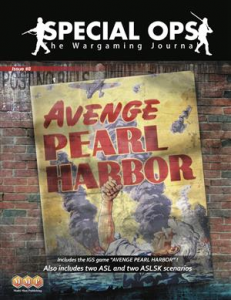 The magazine will be 100+ pages and include the entire Italian order of battle as well as 30+ scenarios. Rat Chart Version 2+ (Green) are now back in stock in very limited quantities. Order them while they last. 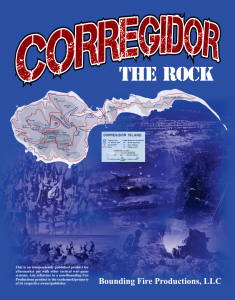 BFP has announced the upcoming release of Corregidor:The Rock. We have it on sale for $77 including free shipping. We expect to ship in January. Le Valet D’ Coeur in Montreal, Canada has now added the complete ‘Le Franc Tireur’ line up to their already extensive ASL catalog. Please check them out for all your gaming needs if you are a local or just visiting this great city. MMP has started shipping Armies of Oblivion to their pre-orders. Luanne has told me that we retailers can expect our copies sometime next week. If you missed the pre-order cutoff with MMP, don’t worry, you can still get it here at the pre-order price with free shipping. 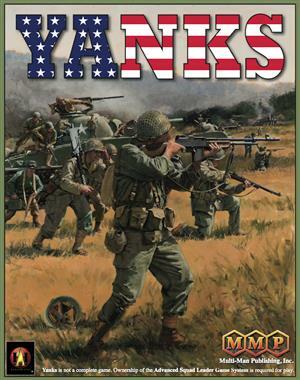 Yanks – This is the perfect time to upgrade this core module. Crisp new counter artwork, new SK style boards and dozens of new and updated scenarios. On sale for $99 from the usual $128. Kampfgruppe Scherer with slightly creased box (contents are mint) for $99.00. That’s $34 off the regular price. We have very limited quantities so this item may not last the month. Don’t forget to add in the Player’s Guide when ordering. Also, we are continuing the sale on the Deluxe pack until we sell the last five we had set aside for last month’s sale. 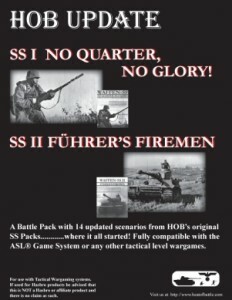 Now is your chance to pick up these classic Waffen SS themed scenarios that were originally released in ‘Fuhrer’s Firemen’ and ‘No Quarter No Glory’ for only $20. 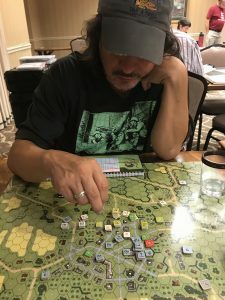 I purchased two infantry companies because I had a lot of ground to cover and hold, and the quality of the infantry was very good. Lots of 5-4-8’s and great leadership. I also purchased a platoon each of PzIV’s, StuG’s, and JGPZ IV’s and finallyu a module of 100mm OBA. I chose not to purchase Panthers at this time as the armor on the JgPz’s were almost as good and I got three in the platoon instead of 2 panthers. They would serve as my tank killers while the StuG’s and PzIV’s would support the infantry and provide Smoke. Jack Left the cemetery vacant which gave me an easy VP location but defended heavily the line between the synagogue and Eglise St. Michel. Early on, Jack destroyed a PzIV in CC when I sleazed his 6-6-6 in order to move a stack up. I lost a 9-2 to sniper fire. Fortunately, his Hellcats failed on all APCR rolls which enabled my JgPz’s to make quick work of them. By the end of the day, the German’s had secured three of the four objectives while destroying five of his AFV’s. I purchased another company infantry along with two platoons of Panthers and a module of 100mm OBA. Jack purchased more tanks and more infantry. 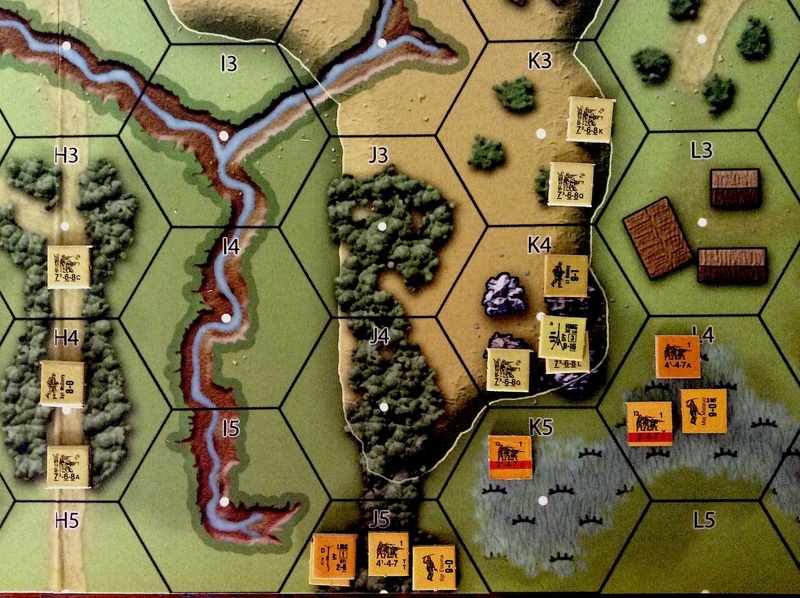 The German assault continued taking the center wooden building area of the map and pushing deeper into Hatten proper. 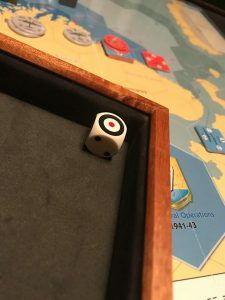 For this scenario, the German’s only have to have a net gain of one victory location. I managed to capture another 3. 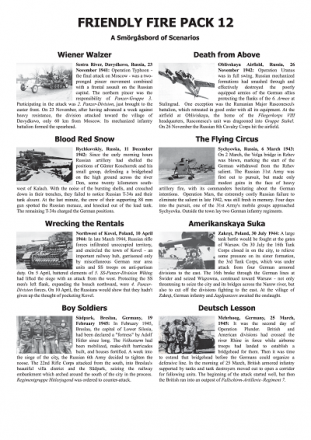 Highlights were tragic American losses including 7 tanks and close to 20 squads. 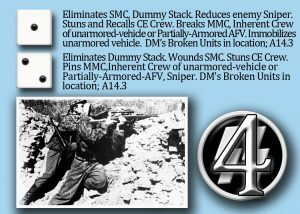 The Germans lost 20 CVP including another 9-2 leader to a critical hit from a bazooka. One of my Panthers was immobilizes and abandoned from 60mm mortar fire. I passed on this date as I already had enough victory locations to win the campaign. Since Jack passed as well, this date was idle. US High Command recognizes the gravity of the situation and plays a dawn attack chit to wrestle the initiative and a VP location back from my Germans. As there are many more victory location in the town of Hatten, this is where I fortify the most. Much to my surprise, his attack is in the direction of the cemetery. I suppose he is trying to outflank the town and swing around, recapturing the cemetery and the synagogue. Fortunately, a module of 120mm OBA, 2 JgPzIV’s, and a Panther contain the attack in a bottleneck with the RR tracks to one side and the arty one the other. At this point I released my reserves deep behind the town of Hatten (about where the king of spades lies in the photo above) and the Jack conceded. I would have liked to play the remaining CG date but it was already decided by this point so there was no point in continuing. US player: insight into defending as the American. Set-up the fortified buildings well behind the lines as there is no way to stop the German onslaught on the first day. Fall back and conserve your forces. The Americans with their 6 morale can’t stand up to the German 8 morale for long, especially when there a two 9-2 leaders all but nullifying the stone building protection. Hunt the German weak armored tanks in packs and save your APCR shots for the beasts. Go for deliberate Immobilization against the Panthers and JgPz’s if he will close to within 6 hexes. 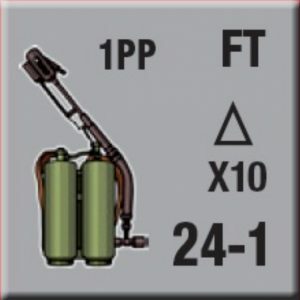 Use your mortars against the tanks (Jack’s mortars took out two of my tanks including a Panther). Don’t be discouraged as you will battle harden a ton of your squads every day into 6-6-7’s. It does get better. German Player: Insight into the attack. Break / surround / destroy. I cannot count how many times his squads were eliminated for failure to rout in our playing. At least 90% of his casualties came from this method. Prep fire with 20’s, 24’s, 30’s and then wherever something breaks, skoot a vehicle (even a BU ht) behind him and a hs in front of him and voila, a break in his line and GI’s that will never rally. If he gets bold enough to send in his armor, send in you tank killers. Have your heavily armored vehicles hunting and your StuG’s and PzIV’s in an overwatch position. Do not forget to shoot IFT at his Hellcats as they are CE. If you Stun/STUN/SHOCK one of the M18’s during his turn, he won’t be CE and able to fire/CC until his next turn, allowing you to do all types of nasty things to him during your turn. 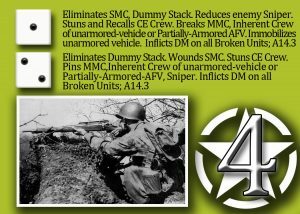 CC by a single squad could be as high as an 11 because of open top, ATMM, immobile, ambush, etc.). Be calculating and deliberate focusing on the weak areas while always keeping your eye on the ball snatching up those VP locations. The -2 DRM for winning a scenario helps a bunch during the refit phase. I had a blast which was in no small part because I enjoyed playing against Jack. He is a wonderfully skilled opponent who never forgets that playing is a social event. 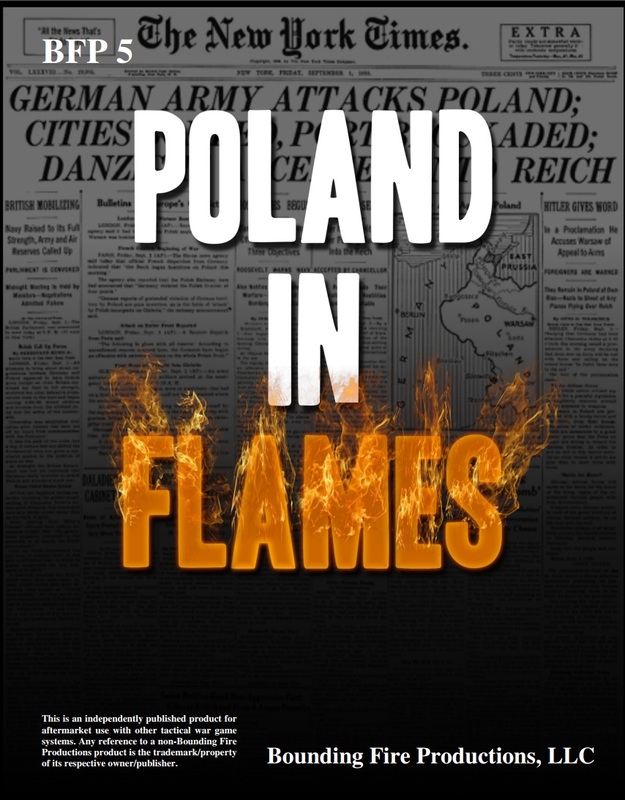 Hatten In Flames is exactly what I like about CG’s without all the stuff that I dislike. 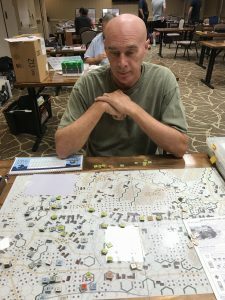 Positives: Small scope, beautiful map, fun toys, manageable order of battle, much of the bookkeeping done for you, no night scenarios (if you don’t like night), very few special rules, streamlined purchasing and refit phase, no depleted units, very affordable at $50 shipping included. Negatives: Only five CG dates, no night scenarios (if you like night). If you have never tried a CG game, I suggest that you start right here with this one. 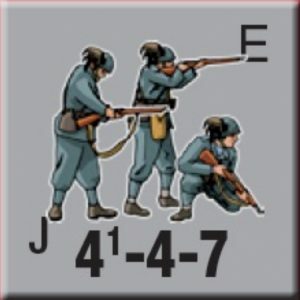 #76 – Ritterkrieg September Sale. The perfect solution for our aging eyes and shaky hands. 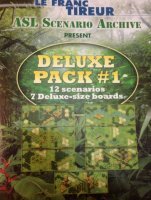 Deluxe pack 1, containing 7 new deluxe boards with 12 scenarios. $30 off regular price of $85. 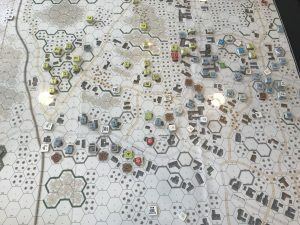 Do not forget to pick up Winter Offensive #9 (2018) which includes another 5 Deluxe boards. We are offering this great game at 25% off. 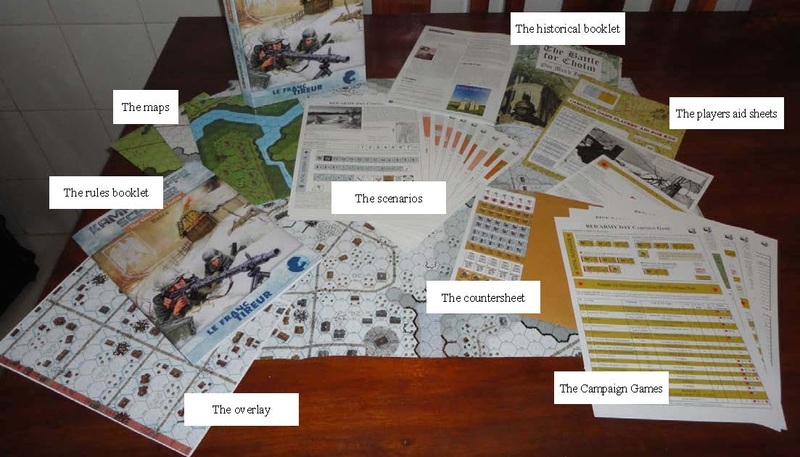 These will never be printed again so get this epic module portraying the battle at Maleme airfield before it is gone forever. Fallschirmjagers dropping from the sky onto prepaired commonwealth positions on the island of Crete. Includes the updated map. 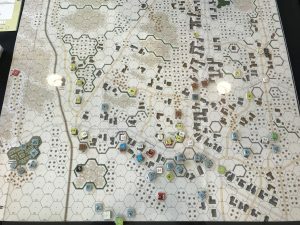 17 scenarios and a linked scenario campaign game. 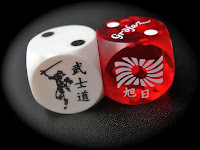 Although I am not allowed putting any of the BFP items on sale, I will include a free set of Japanese or Chinese Battle Dice with the purchase of Blood and Jungle, the Magnus Opus of all Pacific modules. I spoke to Luanne yesterday and she told me that they have most of the components and should start shipping to us in about 6 weeks. You can still order it here at pre-order price with free shipping. I touched base with Xavier and we are still on track for Christmas 2018. 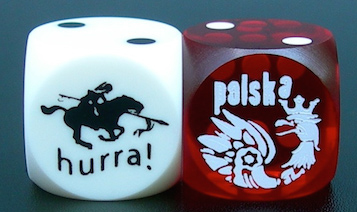 This will include the entire Italian OOB and dozens of scenarios. 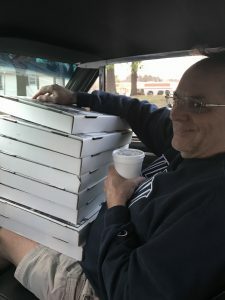 The Towers sold out in the first 15 minutes after posting them. I should have a couple ready to bring to ASLOK and then more before Christmas if everything goes well. 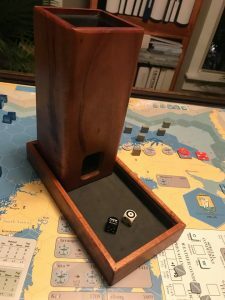 Xavier Vitry, owner of Le Franc Tireur, sporting his new custom Dice Tower. Notice the ‘Division Azul’ t-shirt. #73 – Farewell to Darrell Wright – Giant News – LFT invades America! 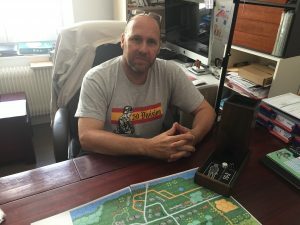 – Hatten In Flames – What’s in the box: Forgotten War ASL Korea. 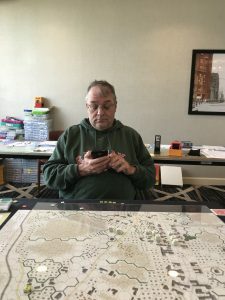 Our good friend and fellow ASL player Darrell Wright has passed away. One of the people that was in our lives for all the right reasons. In his memory, I pledge to appreciate the time we have left with each other by looking up from the map a little more often than before, exchanging a few more stories, and accepting a few more invitations to dine with you or have a drink with you instead of rushing to get in one just one more scenario. The tournaments will not be the same without you. This is to let all of Darrell’s many friends know that he died on Friday, May 18th, while on a trip for work in Baltimore, Maryland. He was 55. He was, without a doubt, the gentlest and sweetest individual one could know, and he will be sorely missed by his family and by everyone who had the good fortune to know him. 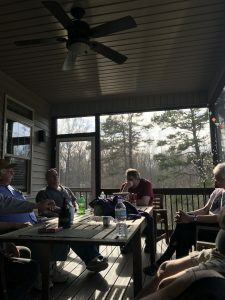 In an effort to bring LFT to your door and table in a more timely and inexpensive method than ever before, Le Franc Tireur and Ritterkrieg have collaborated to distribute throughout North America from right here in North Carolina. 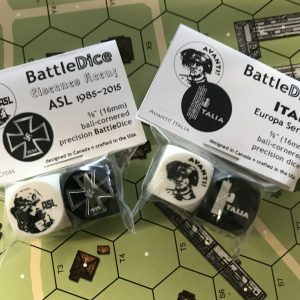 Not only will this reduce shipping costs from Europe, allowing lower prices to you and your favorite ASL store, but this will also reduce shipping time and inventory woes. More products, lower prices, quicker turn around. What is Le Franc Tireur? 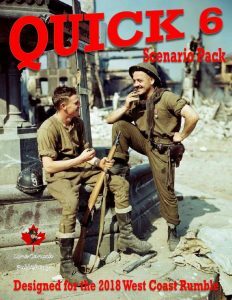 Le Franc Tireur, often shortened to LFT because of the difficulty in pronouncing that last word, is a French company, headed by Xavier Vitry which is responsible for some of the absolute best ASL Modules, scenario packs, periodicals, and accessories. Their scarcity and outrageous pricing on ebay once OOP will attest to the quality and collectability. 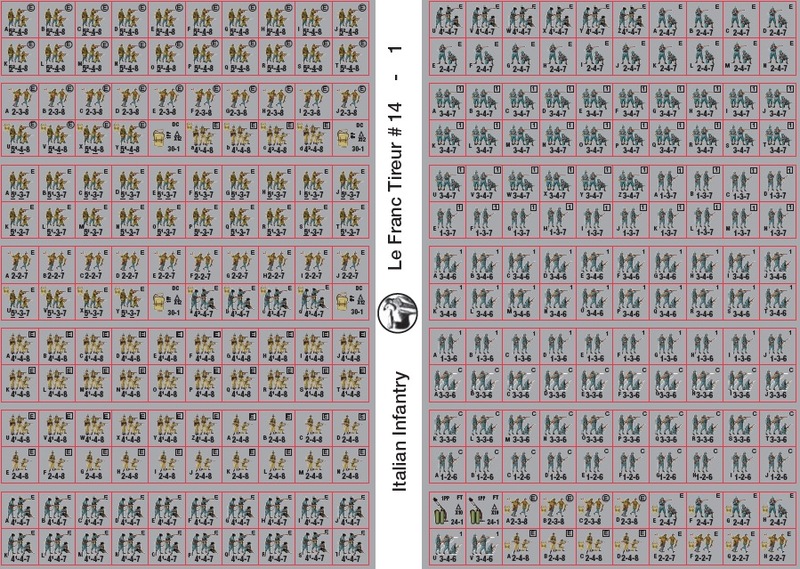 Named Le Franc Tireur #1-13, each periodical contains scenarios and articles, usually based on a specific campaign. 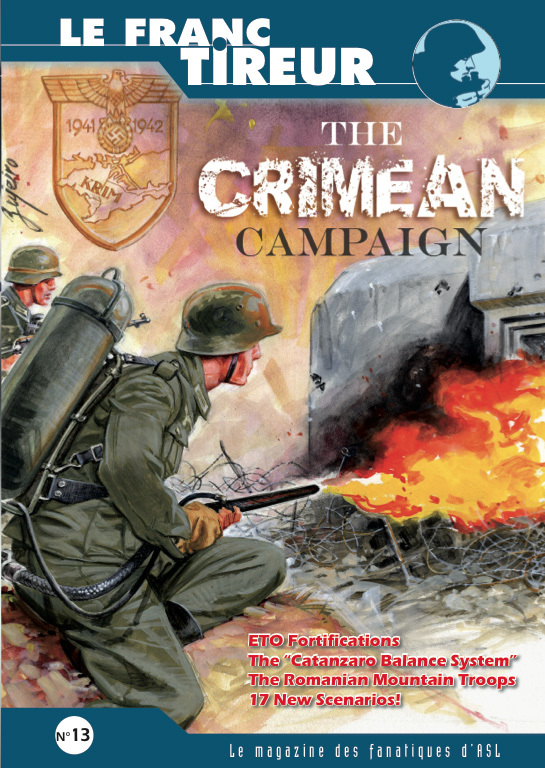 There have been 13 of these printed but only LFT 13, dealing with the battles for the Crimea, is still in print. 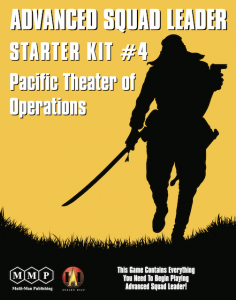 There is also Kampgruppe Scheer Player’s Guide which is days away from being relaeased. The Scenario packs from LFT are called ‘From The Cellar 1-8’. The new FTC 8 is still readily available but FTC 5, FTC 6, and FTC 7 are all but gone with only a handful left in inventory worldwide. With all new artwork that makes the terrain pop, this pack includes new deluxe maps and scenarios. 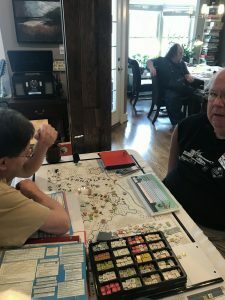 (Thanks to Chris at Battleschool for the photo) LFT has produced 2 Historical modules, St.Nazaire: Operation Chariot and Kampfgruppe Sheer: The Shield of Cholm with maps, counters, historical notes, and designer’s notes. 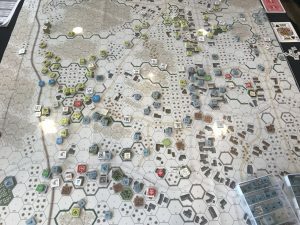 I find it difficult to convey just how beautiful, well researched, and fun to play these modules are. 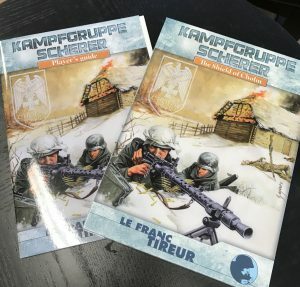 Both sold out quickly but we are expecting a tiny reprint of Kampfgruppe Scheer: The shield of Cholm. Along with the player’s guide, this is our last chance to get our hands on this incredible module. 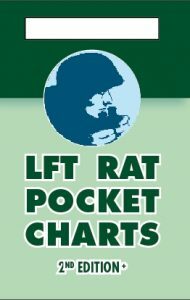 The ever popular and handy Rat Charts, now in their third version ( v. 2+). There are less than 100 of these left in print. we are taking orders now but please note that we will not be shipping before August, 2018. Once again, I did the video sideways. Sorry guys. A little project I have completed. 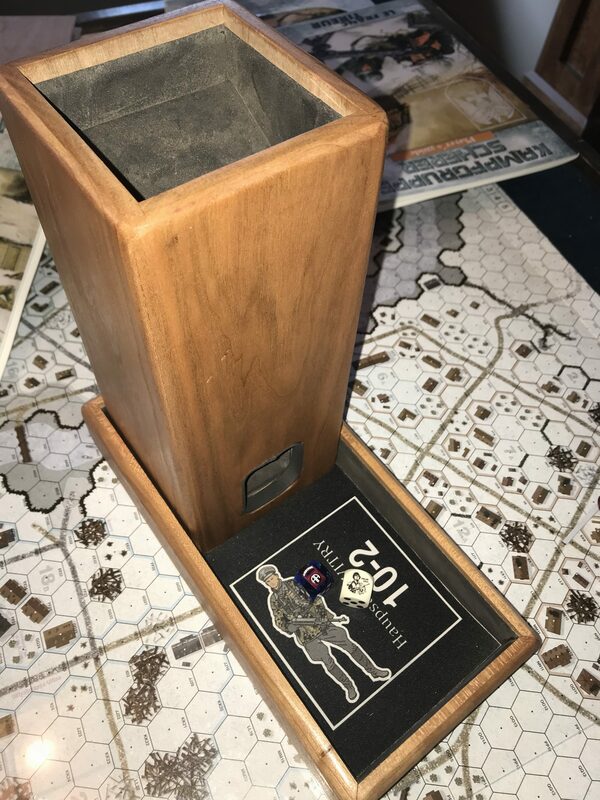 This is a variation of my ammo crate to store ASL maps. This one contains a secret drawer for the Deluxe maps.